The Pixel C tablet, the Android-powered device completely crafted by Google, is now available for purchase from the Google Store. The 32GB storage version is priced at $499, and the 64GB version is for $599. 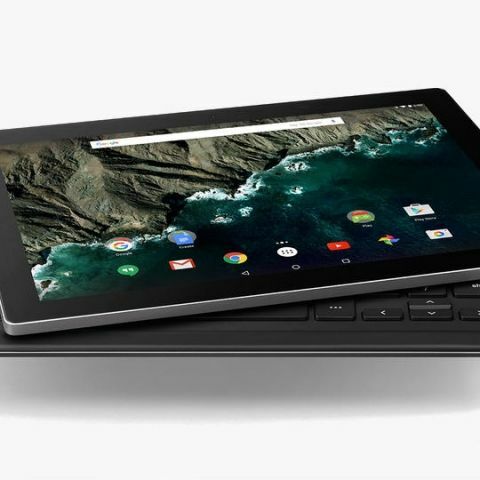 The Pixel C tablet by Google is one of the three major tablet launches from the three technology giants – Google, Apple and Microsoft. While the iPad Pro was launched in India yesterday, the Surface Pro 4 is scheduled for launch in January 2016. As of now, the Pixel C tablet has not appeared on India’s radar in the Google Store, and we expect it to be launched here soon. The Pixel C tablet is powered by an NVIDIA Tegra X1 processor, along with 3GB of DDR3 RAM, 32GB or 64GB of internal storage, a 32.4 Watt-hour battery (9000mAh), a 10.2-inch LTPS LCD display with a resolution of 2560x1800 pixels, and 8MP-2MP rear and front cameras. The optional keyboard, priced at $149, is a major attraction of the Pixel C tablet experience. It is a full-fledged keyboard which connects using magnets, and allows you to tilt the screen up to 130 degrees. It also features induction charging, which means that it can charge itself while remaining connected to the tablet chassis. The Pixel C tablet will not only run Android v6.0 Marshmallow out-of-the-box, but also receive updates every six weeks, like Chromebooks do. Notably, this is the first laptop that Google has made completely by itself, and not sourced it out for hardware development. The Pixel C features a fine, premium build, made of glass and aluminium, and the magnetic keyboard attachment should make for a highly convenient tablet experience. However, at a price of $499 (approx. Rs. 33,300) for the base version of the Pixel C and $648 (approx. Rs. 43,250) with the keyboard, it may just be a tad too overpriced for an Android tablet, even with the excellent build quality and premium experience. To add perspective from the Indian market, against the 30k+ price bracket of the Pixel C, the Xiaomi Mi Pad 2 should fall within the sub-20k price range. Google’s 10.2-inch Pixel C tablet on its way? Will the Pixel C justify the premium that Google is asking for it?